This event will benefit Big Brothers Big Sisters of Central Arizona. 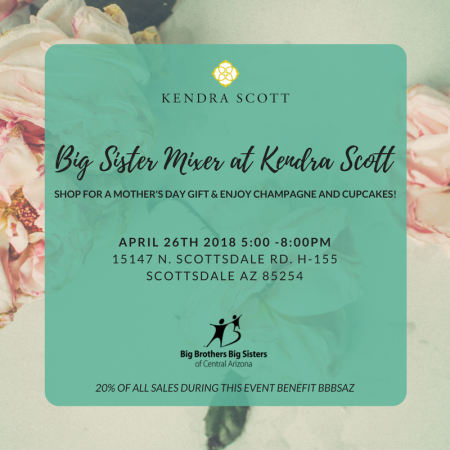 Come sip on bubbles and enjoy a sweet treat while shopping for Jewelry and getting to know other Big Sisters in the BBBSAZ Program. 20% of the proceeds benefit Big Brothers Big Sisters of Central Arizona. Mother’s Day is coming up on May 13th. Pick out a Mother’s Day gift she won’t forget while giving back to BBBSAZ!